Word GX Tactical Green Laser is very bright and eye-catching though make sure to keep your eyes off the beam. 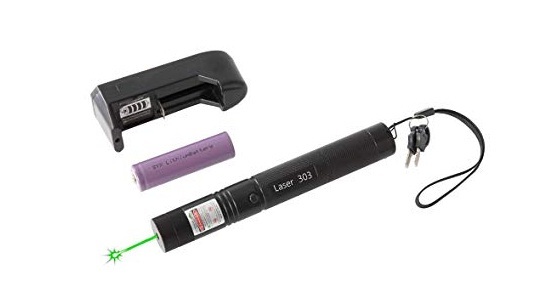 Its a super bright hunting scope laser pen and well bright even to notice in midday. You can also use its different patterns by rotating its caps and create an interesting play with pets. Surely not for small kids, it has a safety lock to hide its strong Green laser as it can even light up match stick. The best tool for hunters to use as a rifle scope pen. It has a unique design, has a safety lock and comes with enough 2600mAh battery to longtime running.